Sample is collected from your home (free of cost) & report is delivered in your email with-in next 24 to 48 hrs. 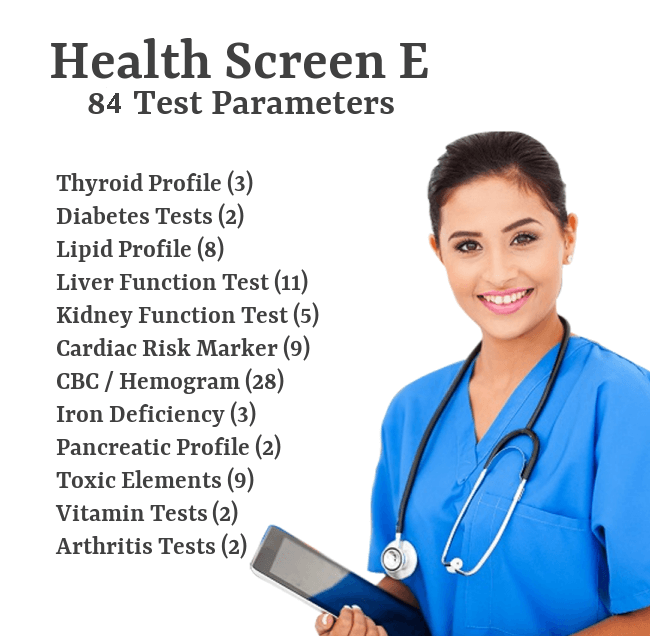 This health checkup package checks for most parts of your body with the help of tests profiles like lipid profile, thyroid profile, liver function test (LFT), kidney / renal function test (KFT/RFT), diabetes, pancreas, CBC, Vitamin and toxic elements. 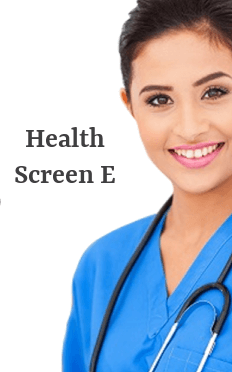 Master Health Checkup (Health Screen E) at a Discount! You will receive a call from Thyrocare/Medifee to confirm the blood sample pickup time. You just need to pay Rs. 10020/- Rs. 3740/- per person to the person who will come to collect the blood sample. Service provided by ThyroCare, the best diagnostic center in India, exclusively for the visitors of MediFee. This service is available for more than 400 cities in India.